It is officially summer. You probably already knew that and I’m not sure what you’ll do with that information if you didn’t but I felt it needed to be said. This means we’re almost halfway through 2017 and I plan on spending the next few months preserving my strength so I can make it over the finish line. Let’s see how that goes. 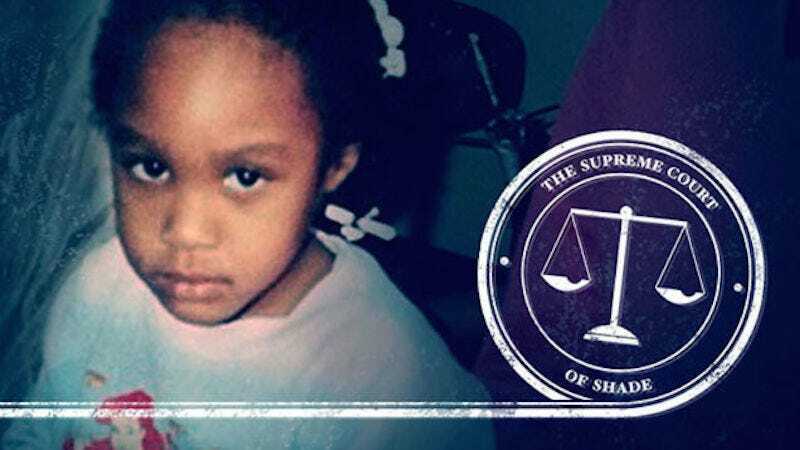 In this week’s Shade Court, friends become enemies, Diddy sharpens his skills and Queen Elizabeth surprises me yet again. The Deliberation: First of all, let’s just acknowledge that, intentional or not, this is extremely funny. Now, on one hand, he did get in there, pose with her and post it on Instagram, so I’d assume he does actually know who Kendall Jenner is. However, that still ain’t Kylie Jenner. The argument for shade is made all the more compelling due the precedent Diddy set last month at the Met Ball when he cropped both Kylie and Kendall Jenner out of a photo. I can also see him legitimately getting them confused because, really, is there a practical difference? A Jenner is a Jenner is a Jenner. Let’s the real, the main reason he even posted this was to earn some cool points with all the 14 year olds who have no idea who he is. In that case, would it really matter which Jenner he used? You can argue he didn’t care enough to notice the mistake or that he did it deliberately. I’m going to split the difference and suggest this might be a case of some subconscious shade on Diddy’s part. It’s almost like when autocorrect changes “kidding” to “kissing” or something like that. Either way, it took him a minute to even catch the error which also says something. The Deliberation: This is shade like my afternoon glass of rosé is the handful of almonds a nutritionist told me to snack on. Mostly, I’d just like to remind everyone that Ana Navarro does not know what the hell she’s talking when it comes to shade and also that she really isn’t as great as she seems. I mean, look, she’s fine. She’s fine. Ana is a rational doggy paddle staying afloat in a sea of lunatics. More than anything, she is willing to accept and state actual facts, which I know has started to seem like a big deal but very much is not. Keep the bar where it is, you guys. Please lordy lord keep it where it should be. Also, again, she is almost always wrong about shade. The Case: The Queen rolled up to the opening of Parliament wearing a hat that many are saying strongly resembles the European Union flag. As we know, last year, voters in the United Kingdom voted to leave the European Union. The hat itself was glorious. A shade of papal purple, with yellow flowers, she wore it with a matching day-coat and dress in a print not a world away from Balenciaga’s spring/summer 2017 inkjet floral print dress. Jolly, informal, was it a deeply coded outfit, or simply Instagram-friendly? Was she throwing shade at the Brexit negotiations or referencing Van Gogh’s Starry Night? Is this royal purple or Lanvin lilac? And so on. The Deliberation: I find the idea of Queen Elizabeth being good at throwing shade completely unsurprising. I mean, of course. Still, we need to dive into this. The issue that arises is this all hinges on her true feelings about Brexit. Before the vote, some reports argued Queen Elizabeth was in favor of leaving the EU, which makes sense because she is extremely old and has had limited interaction with people of color. If we assume that’s true, at what exactly would she be throwing shade? I guess she could be taunting those who opposed Brexit, but I’m not sure shade would be the world we’d want to use for that. Alternatively, we could take this sartorial choice as a public declaration of her true feelings—in which case, one would assume she was in favor of the EU and opposed to Brexit. Ordinarily, I’d say we don’t have enough evidence to say definitively, but I find the hat in itself to be rather compelling. I can’t even begin to imagine the care and planning that goes into this woman’s wardrobe. Wearing this particular accessory to this particular event must have been considered not only by the Queen but also some team of handmaidens or royal protocol czars or whatever. This, I feel, was no accident and it wouldn’t be the first time Elizabeth has surprised me. The Case: These two adult men are former coworkers. Drake Bell (R) and Josh Peck (L) starred in Nickelodeon’s Drake & Josh for four seasons. I have no clue what they’ve been doing since, but presumably they’ve been enjoying their money and explaining to baristas why they look so familiar. Recently, Josh married a woman. It seems Drake was not invited to the wedding and expressed his feelings about that decision on Twitter. The Deliberation: You know what I enjoy? I like when men do things to help remind everyone that traits and behaviors we’ve been taught are specific to women in fact are not. It’s like when I walk through my neighborhood and pass all the adult men sleeping on the street for a pair of sneakers. Oh, women be shopping, huh? Well you know what I’ve never done in my entire life? Camped out on a slab of concrete for some footwear. Though I’m sure it would hurt not to be invited to the wedding of any close friend, we rarely see disagreements like this played out between two men and I sort of love it. Though, poor Drake, I guess? Frankly, I am not a wedding person so it’s hard for me to identify with being this upset over not being invited to spend a ton of money to watch two people make a decision that may or may not be temporary. That said, Drake’s comments are pretty damn funny in their utter lack of creativity and general pettiness. Come on man, there was a Drake & Josh reference to be made somewhere and instead you used cliches like “true colors” with total sincerity. In case it somehow still wasn’t clear, these pissy comments are not shade.